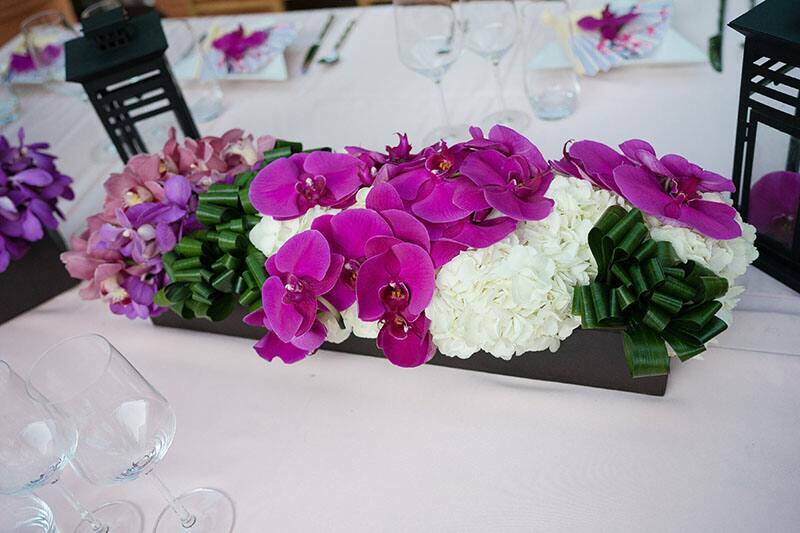 This week's princess inspired look comes from a personal favorite, Mulan. 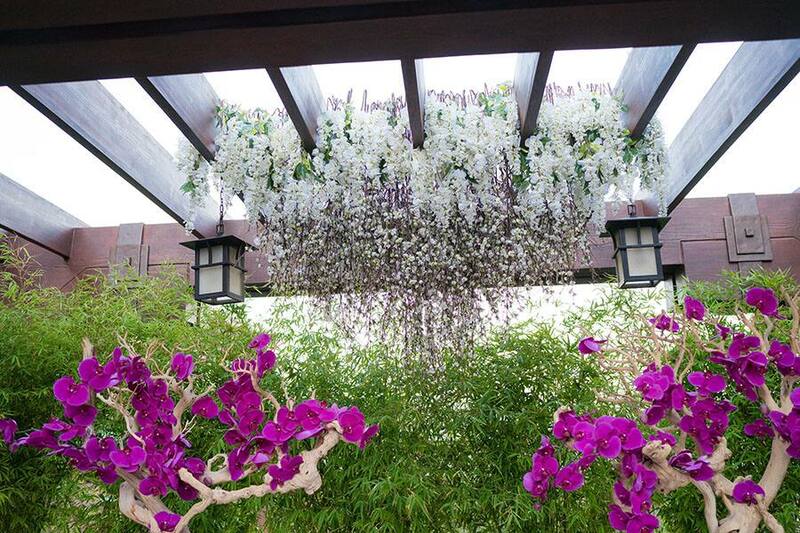 Though she admits she may not be the perfect bride, this decor has all the force of a great typhoon. 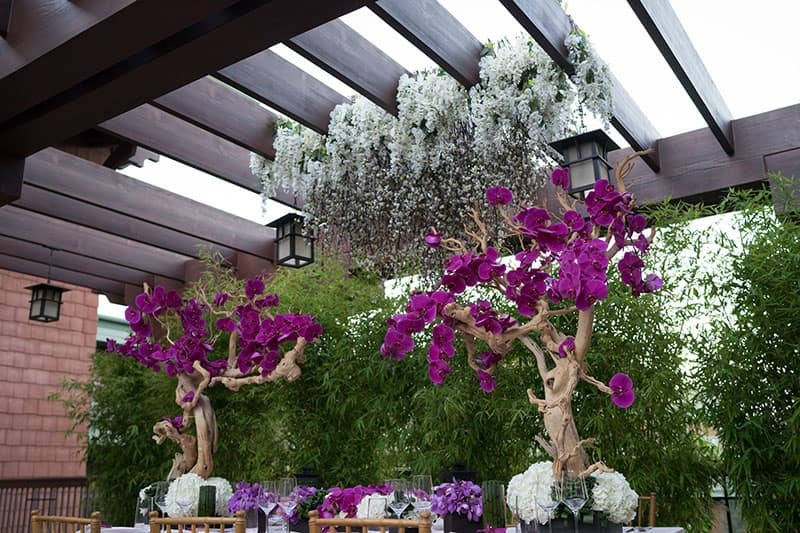 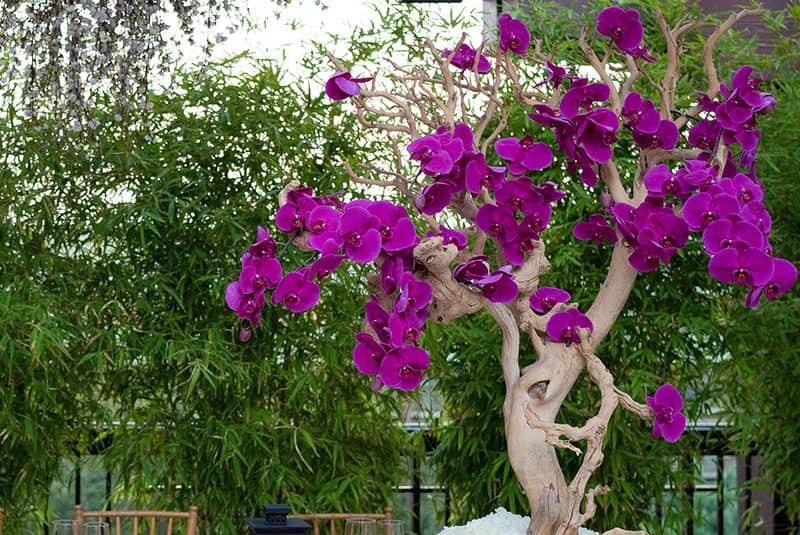 The beautiful, bright orchids instantly draw you in, while the tall bamboo encloses the space. 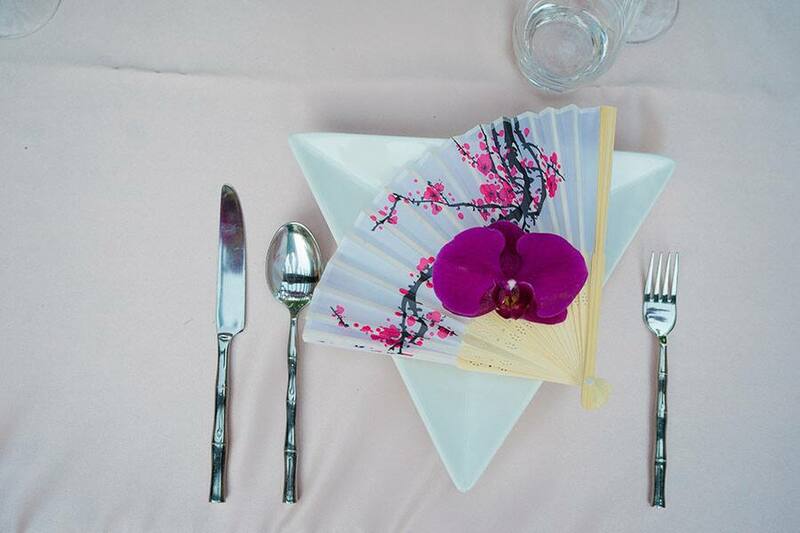 Each plate holds a paper fan, and the table is adorned with simple lanterns. 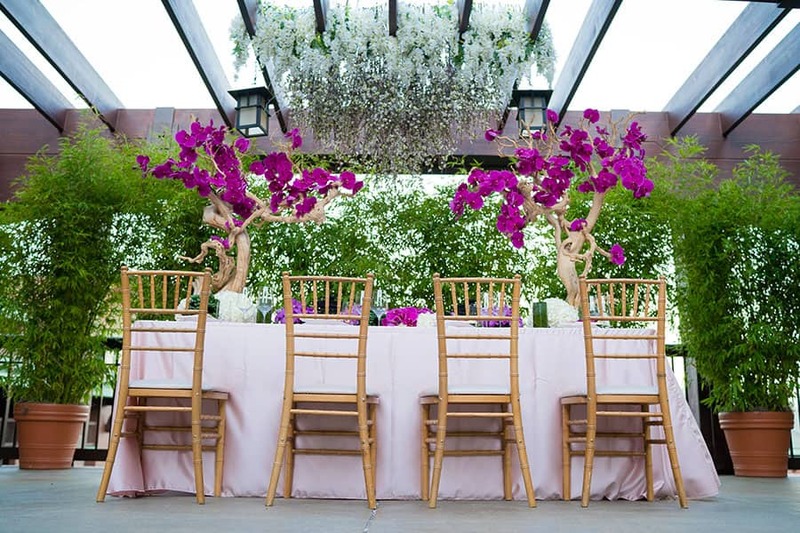 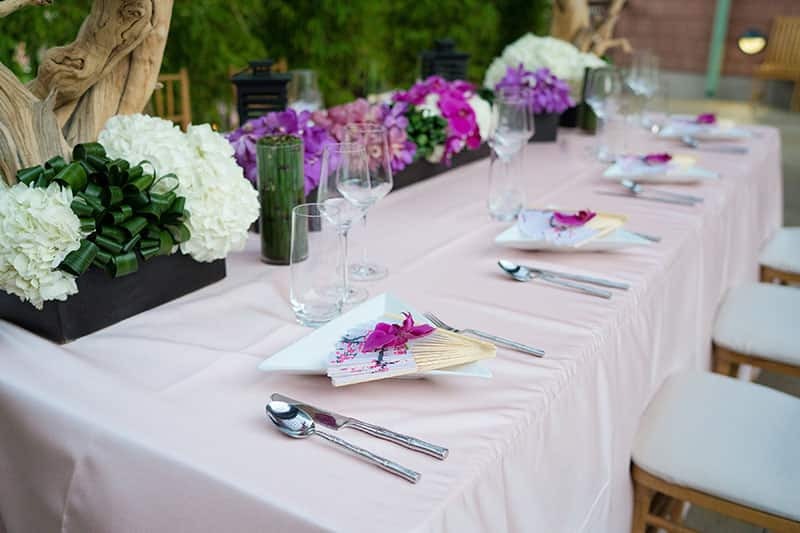 I love the hanging floral element above the table!